Many Overseas Filipino Workers (OFWs) are excited to go home this December to celebrate Christmas with the families. 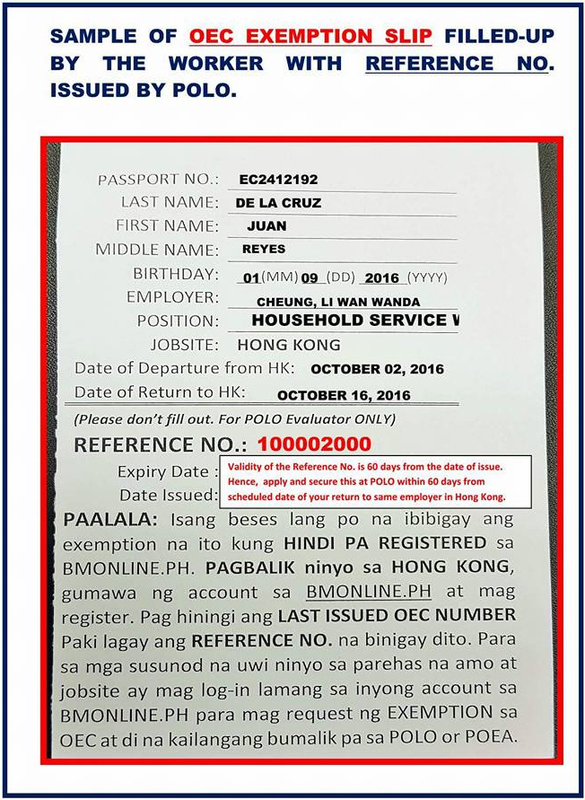 But here is a simple reminders to all vacationing OFWs this December from Philippine Overseas Labor Office (POLO) Hong Kong. 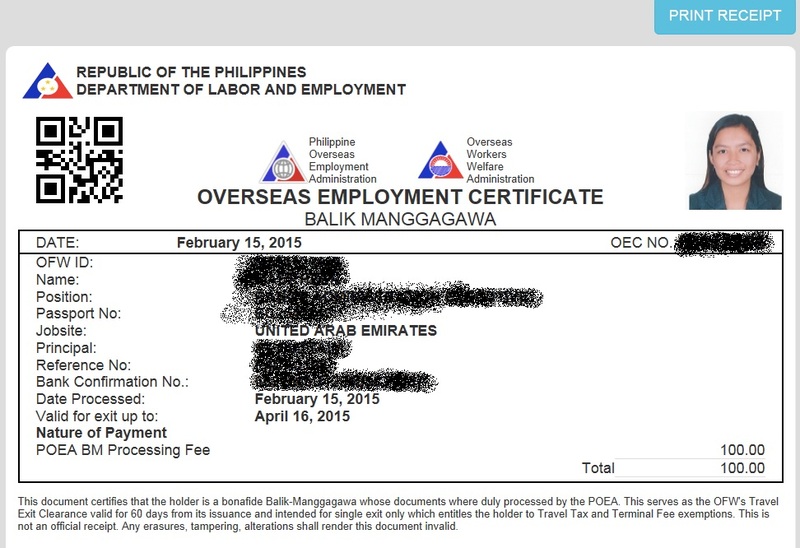 Labor Attache Jalilo de la Torre advised vacationing OFWs not to forget to register online to get exemption from overseas employment certificate (OEC). This is because, there are already two airports in the Philippines that are no longer accepting the temporary exemption slips that he ordered to be issued to fast-track the process for the thousands of OFWs set to go home over Christmas. De la Torre added that he already anticipates that the Philippine Overseas Employment Administration (POEA) itself will stop allowing those with the temporary slips to go through airports unhindered. “Natatakot kami baka idi-disable na ng POEA, kasi kapag nagbigay kami, baka hindi io-honor doon, mabuti i-BM Online na lang lahat,” De la Torre said. 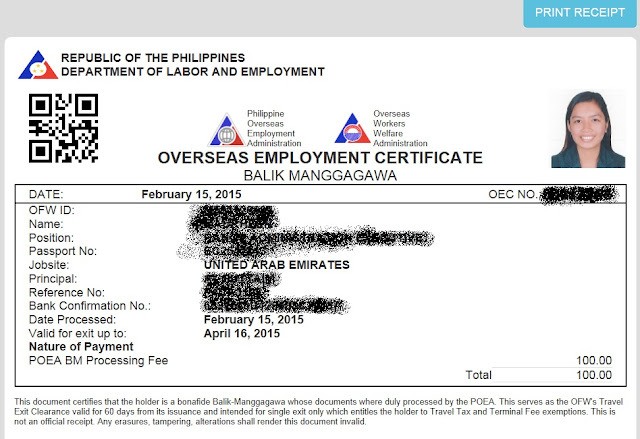 NO MORE OEC FOR VACATIONING OFWS STARTING SEPTEMBER 2016! 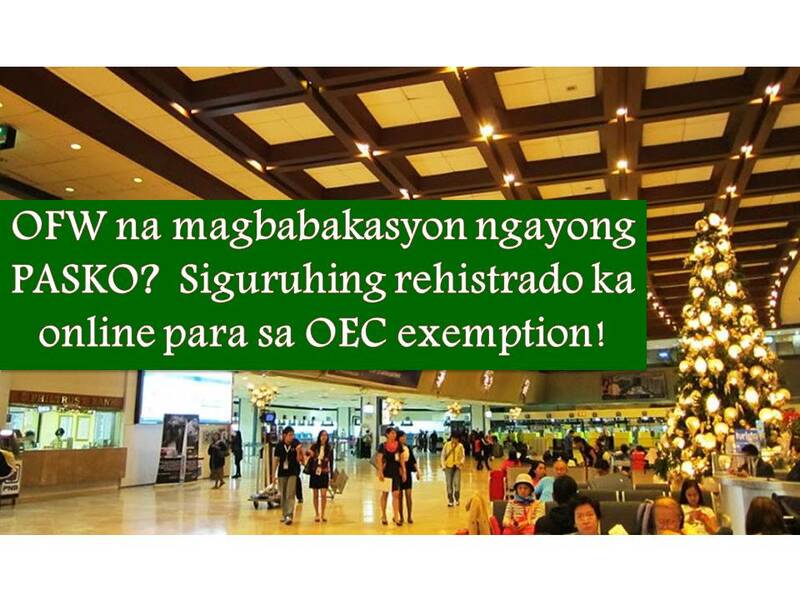 TAGALOG - OEC, GUIDE TO KNOW AND WHAT TO DO IF YOU ARE EXEMPTED OR NOT. As of now, Clark International Airport in Pampanga and Mactan International Airport in Cebu have begun refusing to honor the temporary slip. This is why de la Torre asked the POEA to intervene in the issue. But without any official word from POEA, he decided not to take the risk of seeing OFWS getting stranded back in the Philippines because they don’t have the officially recognized pass. Last week, the POLO-Hong Kong already started the processing of OEC exemption only for applicants with online appointments. POLO said first-time online registrants will have to pay the $20 OEC processing fee in order to get their registration validated. For now, temporary slips are only issued in special cases, like for OFWs who had to go home urgently for three days only without any opportunity to go online there, or for old people.